We'd like to pretend Acura is putting on an augmented reality race in honor of Wareable's AR Week, but it's really just coincidence. Nonetheless, the timing is perfect for this , which will see four drivers hit the road in the car maker's 2018 TLX A-Spec sedan, all wearing AR helmets. It's a three-lap time trial, but here's the kicker: the AR helmets will create virtual obstacles for the drivers to avoid as they try to land the band time. Each lap will have a different AR environment for the drivers to navigate, and it'll all be viewable to everyone starting 5pm PT/8pm ET on Facebook, Twitter and YouTube. The event is to showcase both the new sedan and the AR helmet, which offers a HD screen with an 80-degree field of view, connected wirelessly to a computer in the rear seat of the car. Unfortunately though, it's just a proof of concept for the time being. 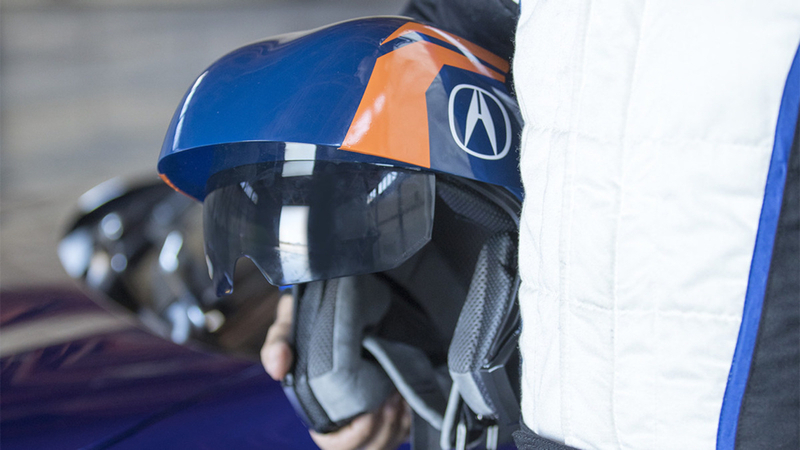 Acura created the helmet with the AR experts at Current Studios, ensuring it keeps an accurate eye on the car's speed and direction. It also added a device that attaches to the car's under carriage to quickly reset the car's location in the AR world at any moment. As for who's driving, Acura has picked four "technology influencers" for the job: Zachary Levi, Sam Gorski, Dom Esposito, Maude Garrett. No, we've never heard of them either. Wait, isn't that the same Zachary Levi who starred in Alvin and the Chipmunks: The Squeakquel? We take it back.